Today’s Humor Me Friday post will be interrupted by what was supposed to be yesterday’s post- Continuation of the Suitcase MakeOver Project. The first thing I did after deciding to get this project done, was to buy the suitcase. Then I cleaned it, and yesterday, I gathered everything else needed. When you decide to get a project done, don’t under any circumstances choose a project that you have the material at home for. Nope. Realize you need fabric. Thrift stores usually have scrap pieces of fabric for low prices. Thrift stores also manage to have the ugliest pieces of fabric ever. So head on over to the fabric store conveniently located on the other side of town. By the way, don’t forget to take the suitcase with you so you can check how the material will clash with the suitcase color. Once inside the fabric store, you wander around until you stumble into the cotton section. Your eye will behold the perfect print! Ignore that one. 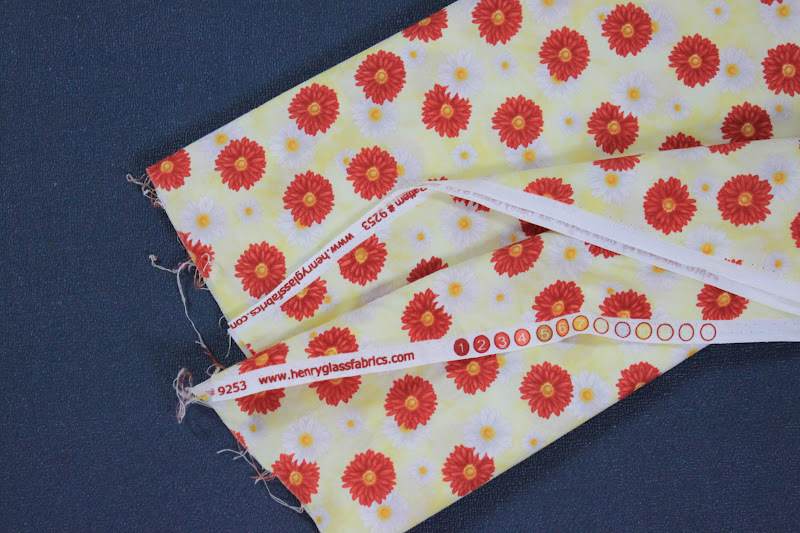 Walk around and bring fifty other fabric rolls you think will be perfect with the suitcase. After you’ve finally decided on one out of those fifty you will turn around and reach for that first roll that had caught your eye as soon as you had come in. Next, you will try to communicate to the lady cutting the fabric, what you intend to do with the fabric. She will simply eye you warily, and continue trying to cut the fabric despite her huge plastic nails getting in the way. You will realize the fabric you chose was on sale, and will have to fight the urge to go “Win!” in front of the cashier. They will think you are weird enough for carrying a suitcase all around the store in the first place. They need no further incentive to shake their heads at you. Then you actually buy the Mod-Podge, take it home, and unearth all the bags, toolboxes, containers that were neatly stacked in the closet, in search of a paintbrush to spread the Mod-Podge with. But first, on your way home, realize that the Christmas Carol tape! you keep in the car every December is still in the tape player, so you turn it on, look outside and realize that the lights on the trees that were put there for Christmas are still up, and for a brief five seconds you feel it is still December. Good. Now you have Modgy-Podgy and fabric! Awesome! Now besides pens, scissors, and the paintbrush, you need a rotary cutter. That’s when you need to unearth every single box from your last move, and search high and low for the rotary cutter you are not sure you have. Then, please realize you do not, in fact, have rotary cutter, you have a x-acto knife. Realize then, that the x-acto knife was inside a bag, on the shelf, right out in the open, the whole time you were making a huge mess with the boxes. So now, you’ve got it all! Craft stores do not sell fabric. Just yarn. Craft stores sell Mod Podge. The same exact Mod Podge sold at Wal-Mart for much much less. I don’t care what people say about Wal-Mart. If they have lower prices on craft material, I’m there. I will now have to stop making fun of actors/actresses in black and white movies that I thought “pretended” that the suitcases were full therefore heavy. They might have been pretending the suitcases were full, but after hauling one around a couple of stores, I know those things are heavy in their own right! Hauling around a suitcase inside stores brings about much less fuss than I thought it would, so next time I need to haul around something that obvious, I won’t be so self-conscious. Nobody cares what you’re up to. Live life. Bahaha! Yeah that was one of my favorite parts too! 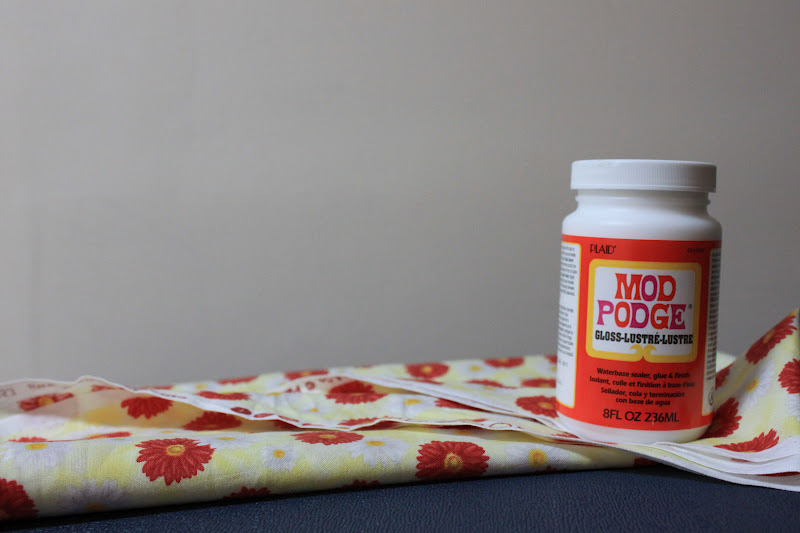 The fabric is adorable–and I love saying Mod-Podge, too. My favorite from the video was the elephant who could barely stand up but was reaching desperately for more fruit (not that he knew that was what was causing his issues, but…). Hilarious! First, I love modge podge, and now I'm going to say it with an English accent all the time! Third, I LOVE that fabric. Honestly, that is so cute! I can't wait to see the finished product! Well crafted craft post 🙂 Do we get to see the finished product? Also, apparently it's more common in the US than here in Canada. That's probably why we hadn't heard of it? Hum, this is my first encounter with the thing. As soon as I've used it, I shall review it. As far as I can tell right now, it's just glue with water. Which means that it's very easy to spread, and very very very sticky. It sticks to anything, and everything. Paper, wood, cardboard, everything. Which is great (unless you're super uncoordinated like me, but I'm giving it a go). For me, having a great name like Mod Podge, is enough to make me LOVE it! Thanks Ann. And yes, the poor creatures. Haha I can't wait 'till I get to use it again! Or, actually, get to use it in this project! 😀 Thank you! And Modgy Podgy! is great. I might have to take you with me next time, because honestly…. Aw, they are all drunk! Poor animals!!! I have hear about this sort of thing before! Also crafting is not for the faint of heart!!! Funny post! 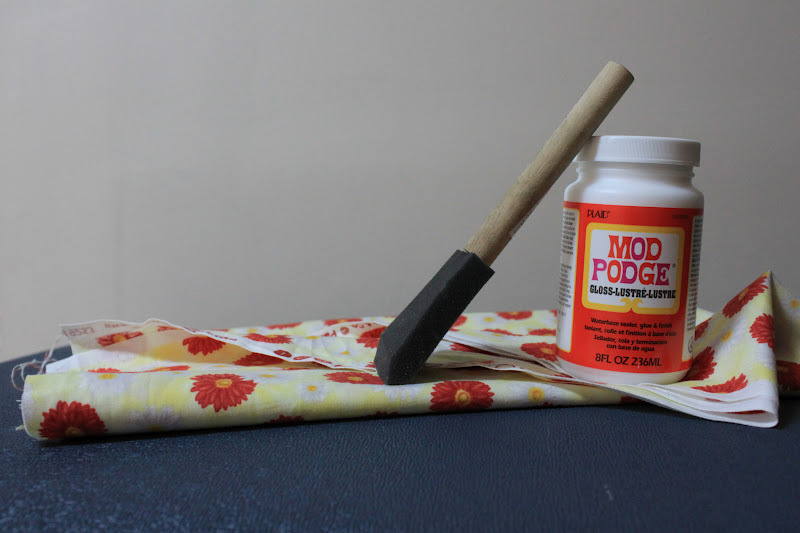 I didn't discover Mod Podge till I was an adult…but I've made sure my kids and nephews have done sooooo many projects involving this wonder product! You are so funny. Good luck with your project! 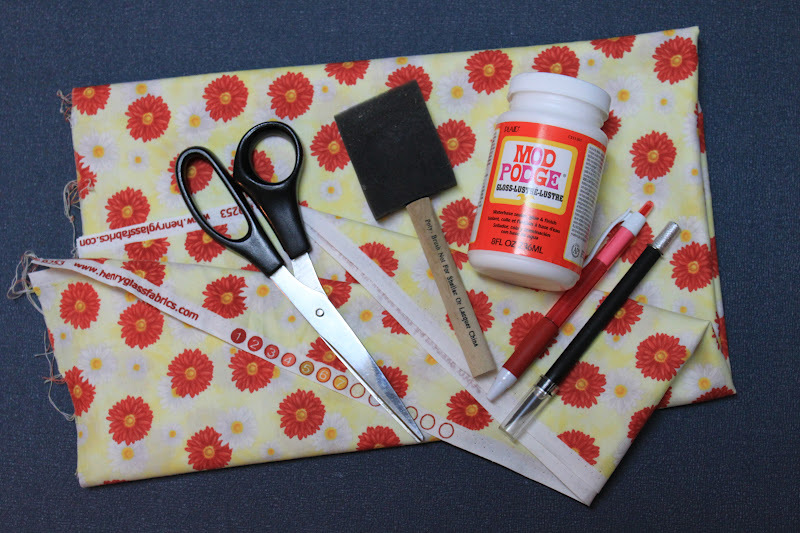 I love Mod Podge so much and both say and use it as often as possible! So glad your blog is back. I think I'm sticking with blogger for the time being, we shall see. Really enjoyed reading your post today. It made me laugh! When I go to craft/fabric stores with friends who aren't crafty/sewers, it's like going to a foreign country and I'm their tour guide! !